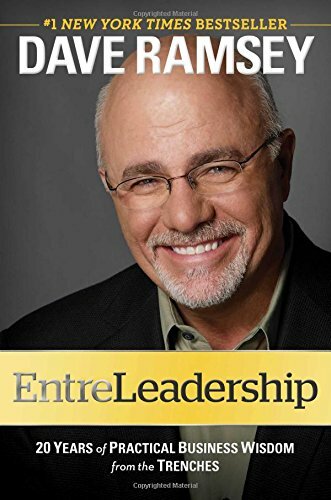 In his book, Entreleadership, Dave Ramsey tells his story of “rags to riches.” He not only explains how he successfully created and now runs a very profitable business, but also explains why it works. You won't find any theory in this book, but practical examples and "how tos." Ramsey begins by discussing leadership; what it is and how you develop it. He then dives into “business 101” and covers much of the basics surrounding product development and marketing. In the following chapters, Ramsey discusses delegation, sales, accounting, vendor management, and HR. In fact, the chapter on HR has helped me create the hiring process that I use in my businesses (which has been crucial in finding and retaining great talent). As an EOS­® implementer, I talk to business owners, almost every day, about the difference between being the owner and being the leader. This book does a great job explaining this concept. This is one of the few books on entrepreneurship that don’t sound like a sales letter. Ramsey’s friendly tone and practical advice make for a great read. I highly recommend this book and encourage you to not only read it, but practice it. 4.7 out of 5 stars! Read it today! Newer PostThe Most Important Core Value?